Below is the meaning of the mirror hour 01:01. From this you will learn to understand the message that is being sent to you by this twin hour that is made up of a double “01”. When a mirror hour like 01:01 is seen and starts to present itself regularly, it is natural to try to find out what it means. A synchronicity registered by our subconscious can sometimes send us a message, but first we need to understand what that message is! For this we can use several tools or methods of divination. These will help us to create a more complete and accurate picture of what is being said. 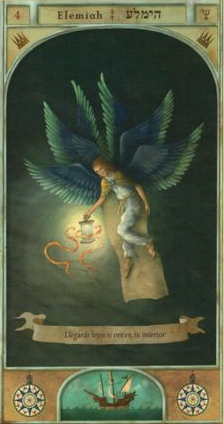 You will therefore learn what the hour 01:01 means, whether it is by studying the angels, by using numerology, or by using the Tarot of Marseilles. If you have seen the mirror hour 01:01, then that means that a guardian angel wants to tell you that someone is in love with you. Check in with yourself and try to find the time to analyze your feelings when you think about someone in particular. You should then be able to figure out who the person is. However this can also be a warning and indicates that solitude and isolation are not good positions for you to take right now. Social contact is paramount to your life’s balance. If you are looking for love you should be prepared to explore new grounds, because it is in a new environment that your “special someone” can be found! 01:01 brings to light a strong personality, however be careful not to fall into egocentricity. You are certainly worthy of interest from those close to you, but starting all of your sentences with “Well I...” may quickly annoy the people in your family, as well as in your workplace. 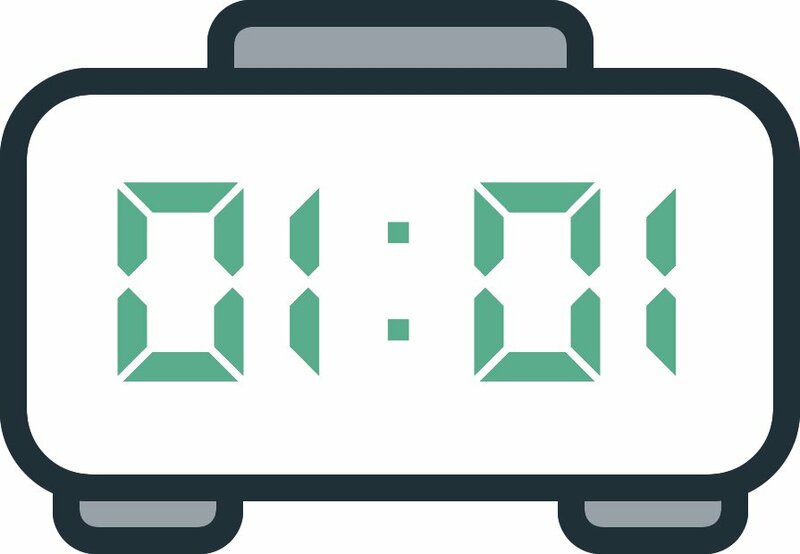 Finally, if you have important responsibilities, the mirror hour 01:01 shows that you are in a position of leadership, and that to you, working in a team is of second nature. A paternal or maternal energy emanates from your character and this makes you a reliable and respected leader. At the same time take care, as your charisma and your strong personality have the potential to unsettle some people. The guardian angel corresponding with 01:01 is Elemiah, whose period of influence is between 01:00 and 01:20. He is the symbol of success! He protects you and gives you the desire to make major changes in your life. He will allow you to make a fresh start. He is the guide who follows you if you are progressing in a creative field. With the guardian angel Elemiah you can accomplish great things. You can explore new turns on your life's path. He spreads inner peace within you and allows you to quickly identify those people who would seek to betray you. What does 01:01 mean in Numerology? 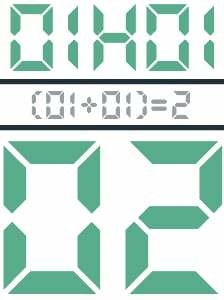 The total value of the mirror hour 01:01 is 2, which is the symbol of love’s union. Your emotional life is on the move, so be prepared! If you are single then this signifies a meeting, a commitment, or a confirmation. If you are already in a relationship with someone, you will pass an important milestone such as a marriage proposal or the birth of a child. Your talents for diplomacy allow you to resolve a great number of conflicts. This position as mediator or intermediary gives you some fantastic opportunities which could lead to a partnership in your professional life. The number 2 is also about sensitivity, or even hypersensitivity, as well as psychic abilities. This explains why you sometimes find it difficult to control certain emotions. Coming across the hour 01:01 indicates that you should take a step back in your life to keep your emotional balance in check as much as possible. Your superior intuition allows you to quickly get a sense of the people or situations that you come across. But this ability to anticipate can sometimes be the source of relationship problems and create a feeling of impatience within you. The Tarot arcanum corresponding with 01:01 is the Magician. He represents setting off and starting out. He shows that you demonstrate creativity, that you are energetic, and that you have a sense of initiative which might surprise people! The Magician card shows that you are entering into a new cycle; whether it be the start of a love affair or positive changes in your current relationship. This will also be the case in your working life, within which you are going to have new ideas, initiate new projects, and find solutions to complex problems. If this arcana is drawn in the reverse, it represents manipulation. As a magician he will embellish upon reality, or even lie to reach his goals. You should be wary of a person around you who might be hiding the truth! 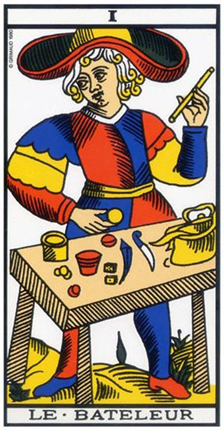 The Magician confirms that you are entering a new phase in your love life. You are going to meet someone important, or your current romantic relationship will be given new life. In your professional life, if you were planning to change jobs then now is a good time, especially if you are progressing in the fields of commerce or education. On the financial side, this card announces good news about a property transaction or a banking negotiation. Any comment on the 01:01 mirror hour? I had a dream that I was with my friend and we were walking around the park. (He is a boy and I’m a girl) and then this big group of people starting coming up to me and asking questions that I couldn’t understand. Suddenly they all shrank and disappeared and a middle aged woman was standing in front of my friend and me. She winked at us both and said “01 01” and then flew away. Does this mean anything? Wow! Cannot explain this, but it seems like youre not alone, many ppl see mirror numbers and im one of them. I think its a kind of sign to dont take the things on serious, i feel its a positive sign, but depends of how u felt, good or bad? weird? Maybe it means destiny? Some kind of dissapoint? confusion? or love? hope u find the way n dont worry. I believe that someone help us by this, maybe its our otherside fam, angels? idk, never thought about it seriously, things changes after some time, hope we will find the true one day.